Bullet Club breakout star Adam Page is the next star announced for the first-ever International Cup! 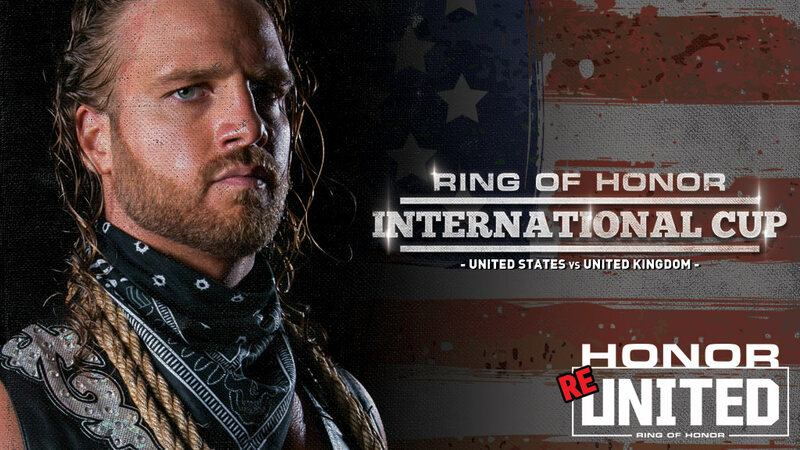 He is the third first-round entrant from the US in the US vs. UK International Cup on the Honor Re-United Tour! Page is coming off a brutal Baltimore Street Fight against rival ROH World Television Champion Punishment Martinez at Best in the World and has a grueling schedule approaching when he competes in his first-ever G1 Tournament for New Japan Pro-Wrestling! But with great risk comes great reward – Page looks to continue his rise as a future champion in the UK when he has an opportunity to win the first-ever International Cup and capture the ROH World Championship in London! Page joins Jimmy Havoc, Mark Haskins, Joe Hendry, and Kip Sabian from the UK side of the bracket and Jonathan Gresham and Christopher Daniels on the US side. Page will face one of the UK stars in the first round of the tournament. Will Page make history by winning the International Cup and the ROH World Championship in London? Who will he face? Stay tuned to ROHWrestling.com to find out! ROH’s Honor Re-United Tour brings the hard-hitting, in-your-face action that only Ring of Honor can deliver to Edinburgh, Doncaster, and London this August! These events will stream LIVE for HonorClub but there is nothing like experiencing The Best Wrestling on the Planet LIVE! These events will sell out – don’t miss your chance to buy your tickets, now!